Edible Book Festival 2016 – 10th Anniversary! 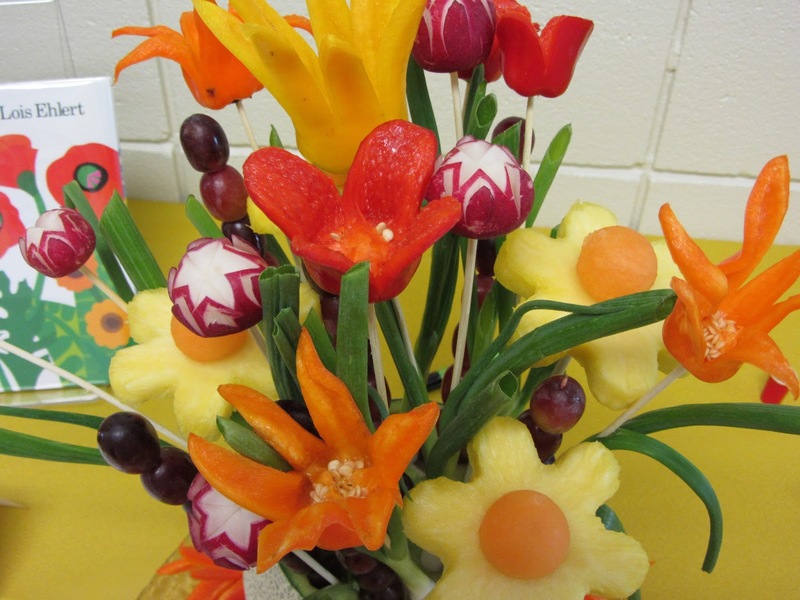 As March brings the fragrant flowers and singing birds of spring ever closer, here at the Ivy Tech Northeast Library we are gearing up for the delicious annual event that is The Edible Book Festival. This year’s festival marks the 10th time that we’ve held this event. 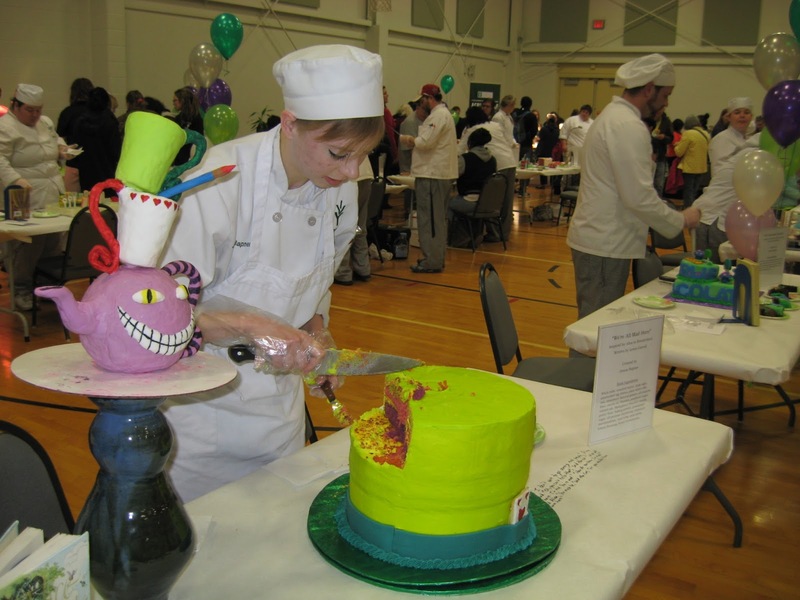 We hope for it to be the most successful yet with crafts, prizes, a performance from storyteller Lou Ann Homan, and, of course, all of the fun, creative, and scrumptious dishes that the entrants have put together. 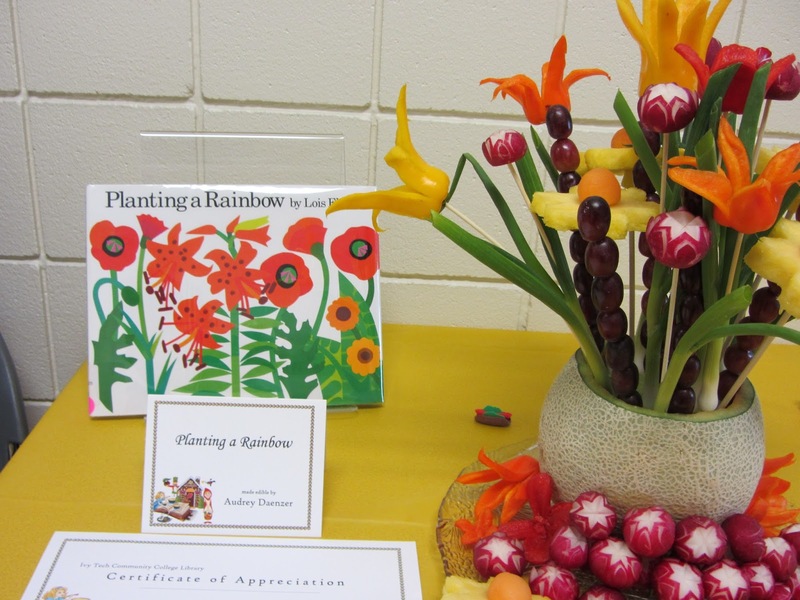 For more details, information on how to enter, suggestions for books that may help with constructing a decorative dish, and to view photos of previous years’ Edible Books, click here. We love that the flavors of Edible Book Festival bring everybody together, and sharing culinary works is a unique way to make books come to life, but let’s take a moment to focus on the other element that makes the Edible Book Festival possible—-the books! The dishes that participants create are a unique way to engage with literature. 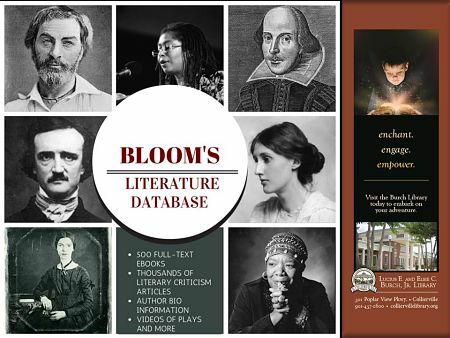 Another way to engage with your favorite literature, with the help of the Ivy Tech Northeast Library, is with the Bloom’s Literary Reference Online Database. Based on the canon of famed literary critic Harold Bloom, Bloom’s Literary Reference Online is a collection of author biographies, synopses of works, and articles of literary criticism. There are also a host of pieces that trace themes across different works of literature. This is an invaluable tool for delving deeper into a piece of literature, whether for an assignment or your own personal interest. You may also have some luck with gathering ideas for an edible book. Allow me to demonstrate. I’m a fan of the works of Edgar Alan Poe, but I’m not sure which one of his works would best translate into a food dish. Luckily, I can use the Bloom’s database to quickly browse synopses of his works. I simply search by author, and once I am on the page of articles related to Poe’s work, I start to browse the “Overviews and Synopses” tab for stories that sound like they may inspire an edible book. One that catches my eye is the story “Bon-Bon.” The story focuses on a French chef named Pierre Bon-Bon who is a lover of philosophy and wine, apparently too ardently on the second count. He is also renowned for his omelets. The story involves a conversation that he has with the devil himself, who, in Poe’s rendition of dark humor, relates that he has tasted the souls of many great men. 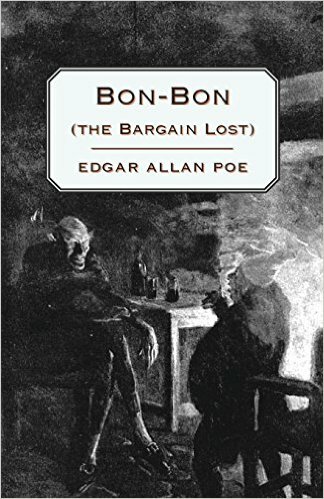 Bon-Bon then tries to make a bargain with the devil by offering his own soul, and the devil refuses on the grounds that Bon-Bon has become unconscionably drunk over the course of their conversation. This gave me a few ideas for edible interpretations of this story. The first that popped into my mind was deviled eggs. 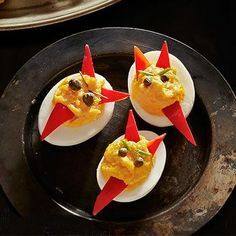 Chef Bon’s Bon’s deviled eggs would be a great way to combine that mention of Bon-Bon’s famous omelets with a devilish twist. I even found a recipe online that used a little curry powder and cumin to add some spice and a garnish for each egg with a slice of red grape, which you could use as a reference to the chef’s favorite drink. If I was feeling a little bit more daring, I could make chocolate bon-bons and then decorate them with the faces or names of the philosophers mentioned in the story, a way to reference the devil tasting the souls of the great thinkers. This is just an example, but hopefully it goes to show that there are creative ways to make a dish out of a story with just a little interpretation. You also don’t need to be a master in the kitchen to put together a fun display.